Is the training offered anywhere outside the United States? The training is only offered in the United States. The location for the 2019 training program will be announced. Can the training be completed solely online? Attendance in all of the in-person segments is mandatory. Can I do part of the training now and finish it the next time it’s offered? To become a practitioner, it is required that you attend and complete the training that you have signed up for. Will I get to experience a Functional Synthesis (FS) lesson during the training? Yes! Each student gets an FS with one of the teachers during each in-person segment, included with tuition. Can I only participate in the Children’s Mastery training? Attending and successfully graduating from the Practitioner Training Program is a prerequisite to attending the Children with Special Needs Continuing Education Workshop Series. If I am a Feldenkrais Practitioner, can I participate in the Children’s Mastery training? 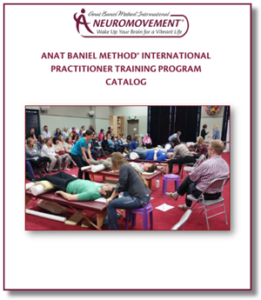 We do require that Feldenkrais Practitioners attend the ABM NeuroMovement® Practitioner Training Program in full in order to be eligible to attend the Children with Special Needs Continuing Education Workshop Series. No. However, there are several nice hotels nearby as well as many lovely offerings on Airbnb and Vacation Rental by Owner. Are housing and meals included? The tuition covers the training program only. Students are responsible for their own accommodations and meals. Many students share housing and rides and make lifelong friendships with their classmates! at 702-945-6444 or email training@anatbanieltraining.com. Six of the 10 training segments are done in person, and four of the segments are done online in between the in-person segments. During the online segments, trainees will meet weekly via conference or video calls with their group leader to go over the assigned materials and address questions. The group leaders are available for help and provide support to the participants in their group. The entire training group also meets with Anat via conference or video call several times during the online segments. Trainees are encouraged to begin practicing early on and are provided with supporting teaching materials in the form of transcripts and extensive notes after each training segment. 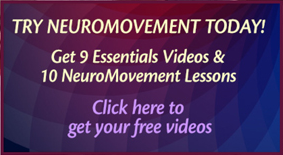 NeuroMovement® is at the forefront of the brain plasticity revolution.